Usually, it's a child’s interest in a particular sport that determines whether or not he or she plays it. But some aspiring athletes may be kept off the field, court, or diamond if their parents fear that they will suffer a concussion, a new survey finds. 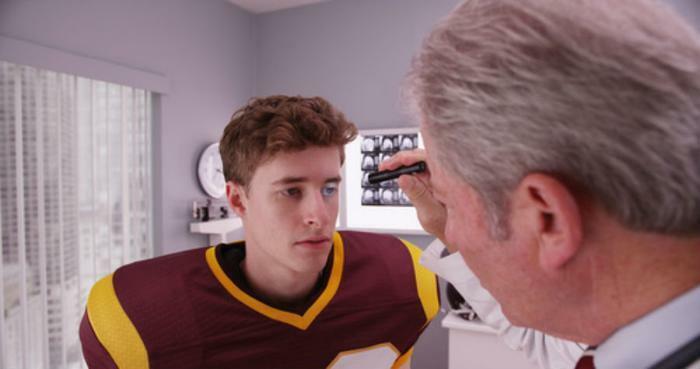 But avoiding sports altogether isn't the only way to reduce the risk for concussion, says Dr. Dave Baron, an osteopathic psychiatrist and director of the Global Center for Exercise, Psychiatry and Sport at the University of Southern California. Parents can preserve their peace of mind while still allowing their children to reap the socio-emotional benefits of sports by finding programs that take certain safety precautions. Instead of focusing on the risk for concussion, parents should “focus on getting involved with programs that take safety seriously, have well-trained coaches, and provide properly fitting safety gear like helmets,” says Baron. He also recommends seeking out programs that limit full-contact practices and teach good sportsmanship to minimize on-field aggression. Dr. Joelle Rehberg, medical director of the athletic training education program at William Paterson University, also encourages parents to allow children to play sports but advises balance for student athletes. “If they were allowed that, I think we'd see them become more resilient to the hazards of sports and we would see fewer injuries in general,” she added. Sports do carry the risk for concussion. In fact, the likelihood of suffering a concussion while playing a contact sport is estimated to be as high as 19% per year of play. Have the child evaluated by a medical professional. Allow symptoms to subside completely before resuming full practice and competition. Sometimes, just a few days of inactivity is all that’s needed. Let them eat, drink, and rest. Keep the house quiet and the lights dim. Once they seem back to normal, give them another 24-48 hours before resuming their normal day-to-day activities.